wanting to shed excess pounds while building lean muscle? 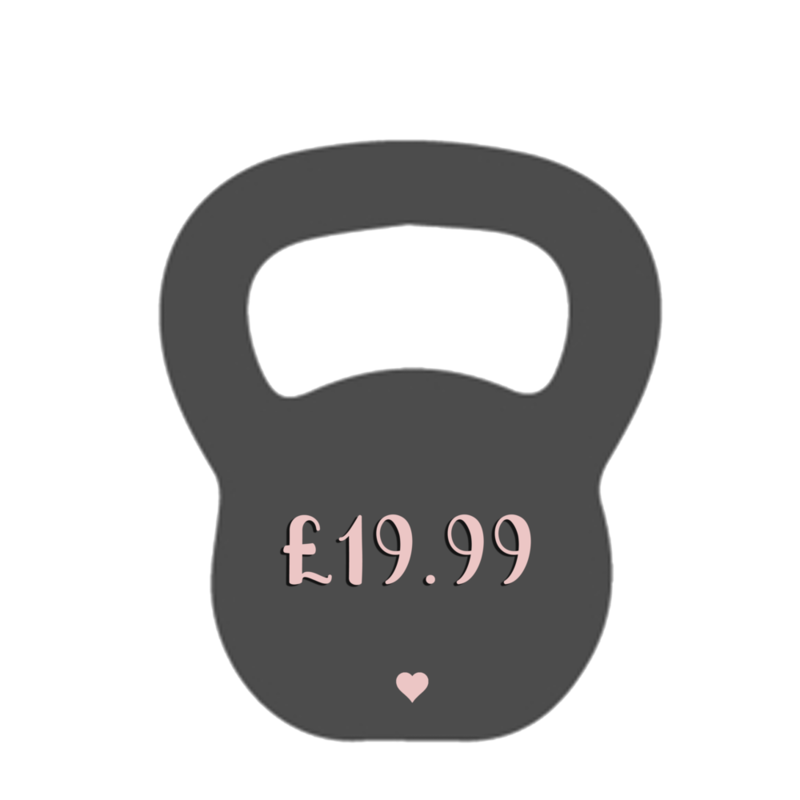 wanting to gain strength and develop some muscle tone? 12 week gym workout program based on the goal of strength & lean muscle building (downloaded in PDF format). 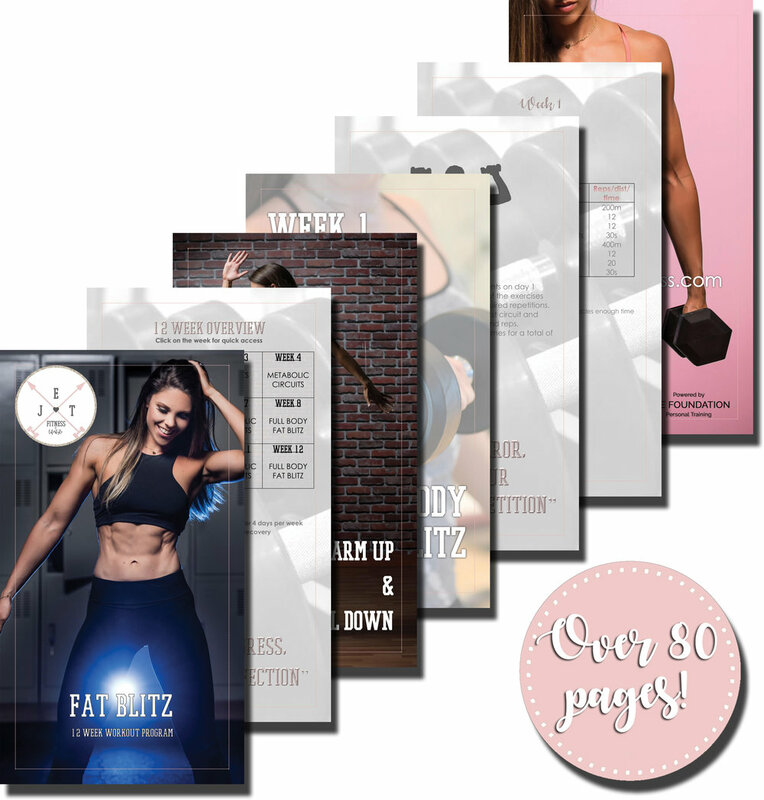 Purchase the Nutrition package including a 35 page nutrition guide & printables for half price when bought with the Fat Blitz or Tone & Sculpt workout plan! 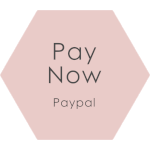 Click the button below to find out more! Before purchasing a Workout/Nutrition Plan, please read our Terms and Policies at the bottom of the page. I am someone who used to go to gym and use the treadmill or the bikes because I was too scared to try anything new at the gym. Jen has totally changed this outlook to working out. 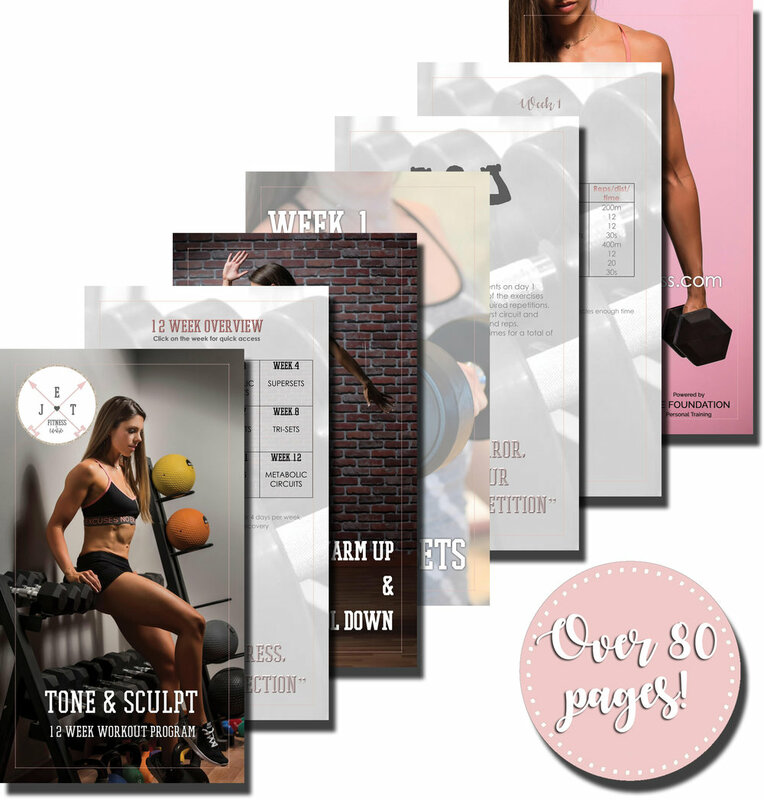 I live in the UK and Jen (all the way from Dubai) worked with me to create a personalised 4 week workout plan which took into account my goals as well as my ability. From the initial video chat the whole process was friendly and Jen’s passion for her work was clear. I felt relaxed putting total trust in Jen’s ability to create my 4 week plan and I wasn’t disappointed! I have just finished the 4 weeks and can already see the results, I can’t wait to get a second plan off Jen for the new year! Throughout the 4 weeks Jen regularly message to check on my progress, giving tips and advice when needed. The videos attached to the plan are brilliant as, if you’re like me and hate looking like you don’t know what you’re doing, you can watch the short video discreetly in the gym and carry on with your workout without having to ask the PT’s or gym staff how to work the machine or what to do! Jen also gave nutritional advice, recipe ideas and the pack included a progress sheet so you can see how far you’ve come. I now use machines and do exercises in the gym I would never dream of doing before and it’s all thanks to Jens plan as well as her encouragement and support. The whole package is brilliant, don’t go anywhere else!"